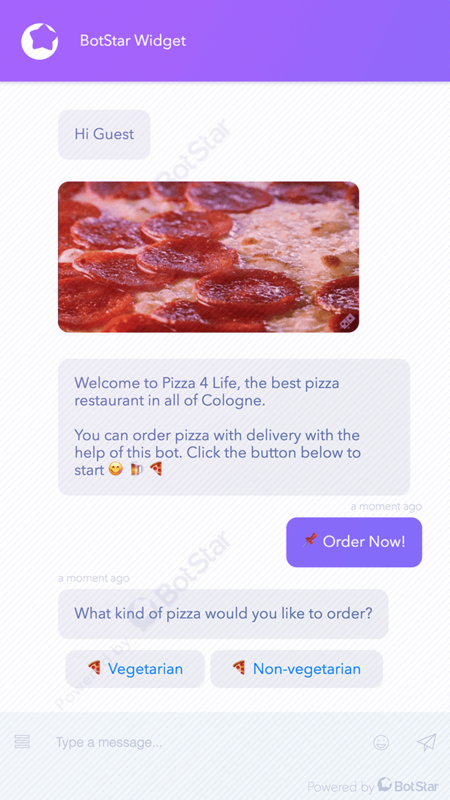 Help customer to get a hot pizza delivered straight to their door. 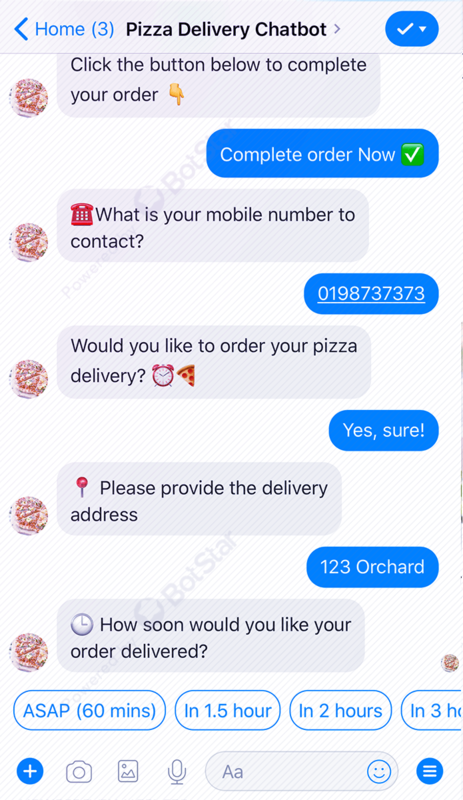 By chatting with this chatbot on Messenger, customers can quickly get a hot tasty pizza delivered from their favourite restaurant in town. 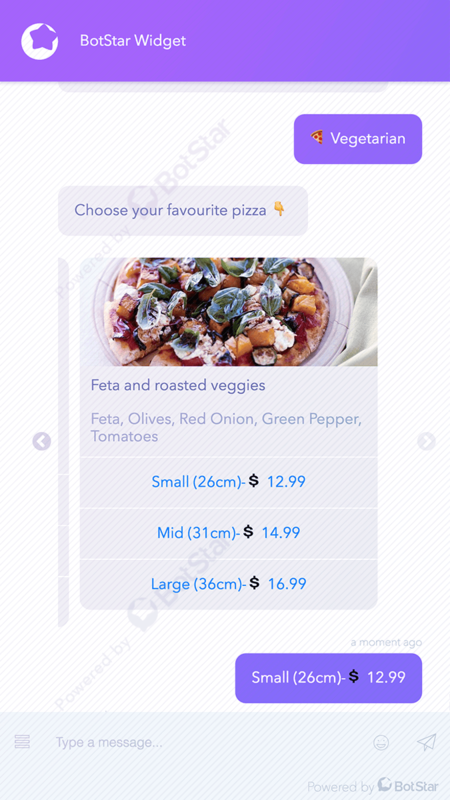 They are able to access to the menu filled with beautiful images and customize their pizza according to their choice. 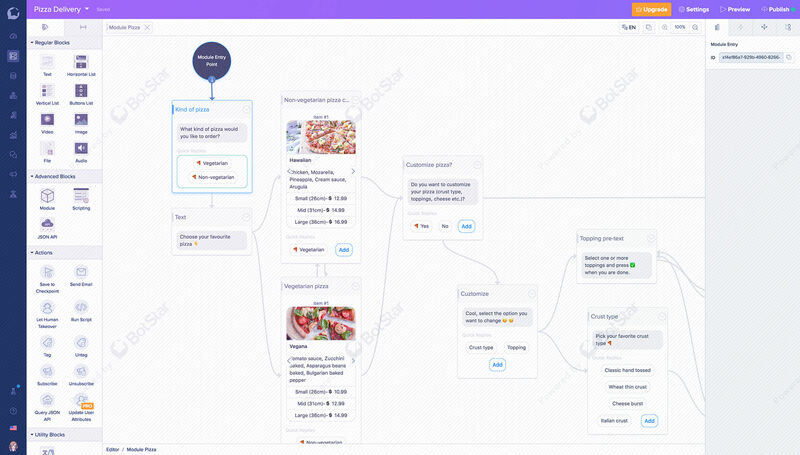 This template is designed to deliver the best user experience in ordering process. 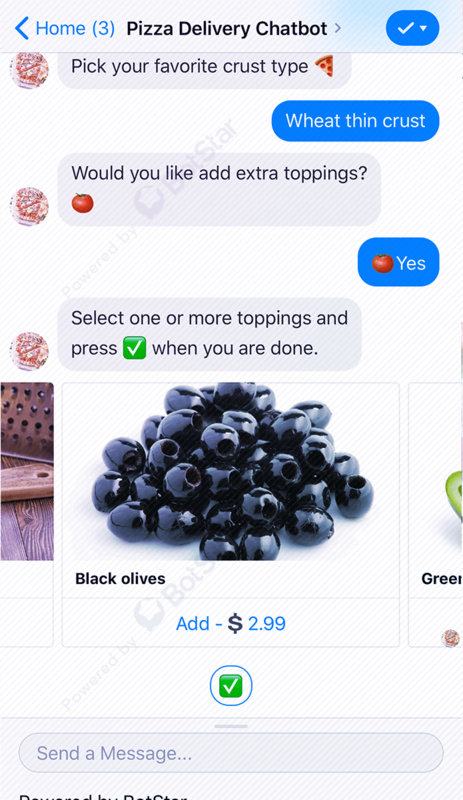 On the other hand, this template helps restaurants collect subscribers - people who had a chat with the bot. Restaurants can reach them later with the promotions, discounts, news and more. Besides, page admins will immediately get notification on email once an order has been placed.